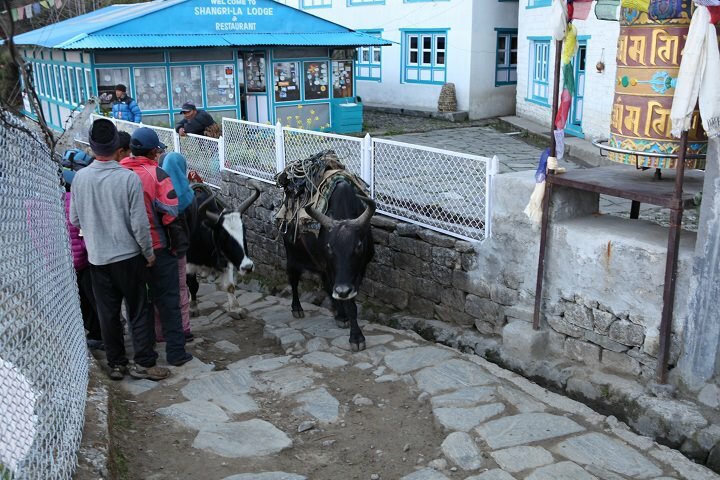 This yak, one of the respected members of the Lukla community, apparently headed for work. Mayo Clinic's research team has arrived in Lukla, the sherpa village where they have begun the first day of their non-motorized climb to Base Camp. Before they caught their last flight (in a small, rather experienced prop plane to a very small airport on the side of a mountain) they spoke to the Associated Press correspondent in Nepal who filed this story. A similar story appeared from Reuters with the same dateline. 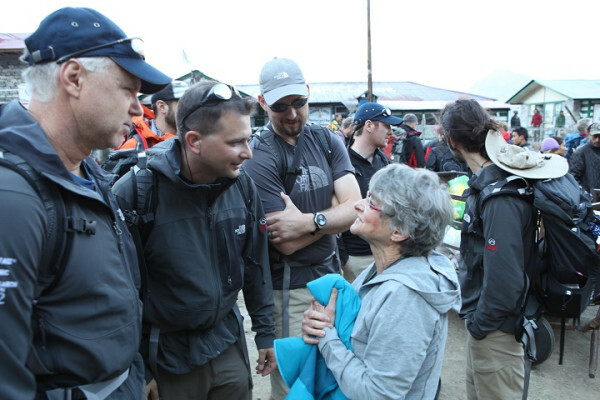 Mayo Clinic News Network reporter Joel Streed summarized the last 48 hours, from Kathmandu to their jumping off point. Day 2 - "The day was spent dealing with some problems with equipment and connectivity. We’ll see how it turned out. I had hoped to send an update on testing today, but we’ve got a 4:00am wakeup call to make a 6:15 flight to the worlds most dangerous airport." Today, Lukla - "We’re holding here for a little bit yet and then start our first day of trekking. Flight in was gorgeous, not scary at all, as long as you overlooked the condition of the plane." Dr. Doug Summerfield is surprised to meet a friend from La Crescnt, Minn.